1. What attracted you to Dalhousie? I was interested in Dalhousie for a few different reasons. Dal has a good reputation for its engineering program. 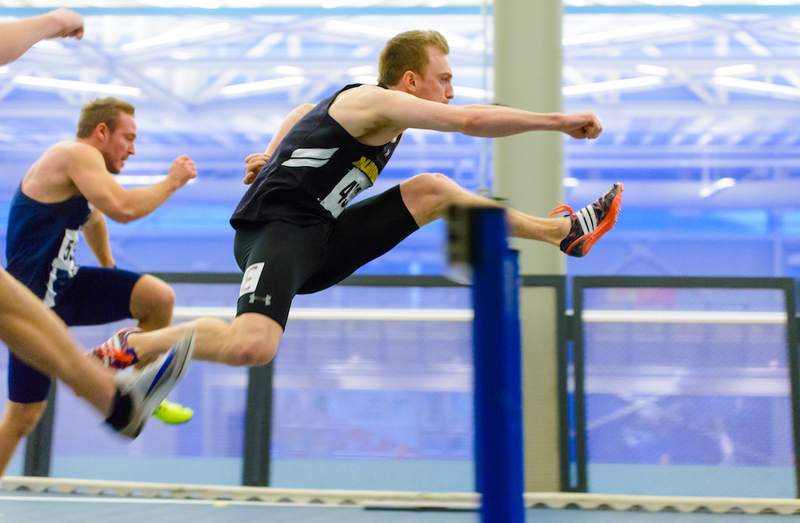 From an athletics perspective, I had been training with the Dal coaches ever since. I started track and field at the beginning of high school, so I knew this would make the transition into varsity training easier. I had a very good relationship with my coaches and they helped me progress further and further each year. I wanted to see if I could push even further into training as a varsity athlete. I’m also from Halifax, so being close to home was a bonus. 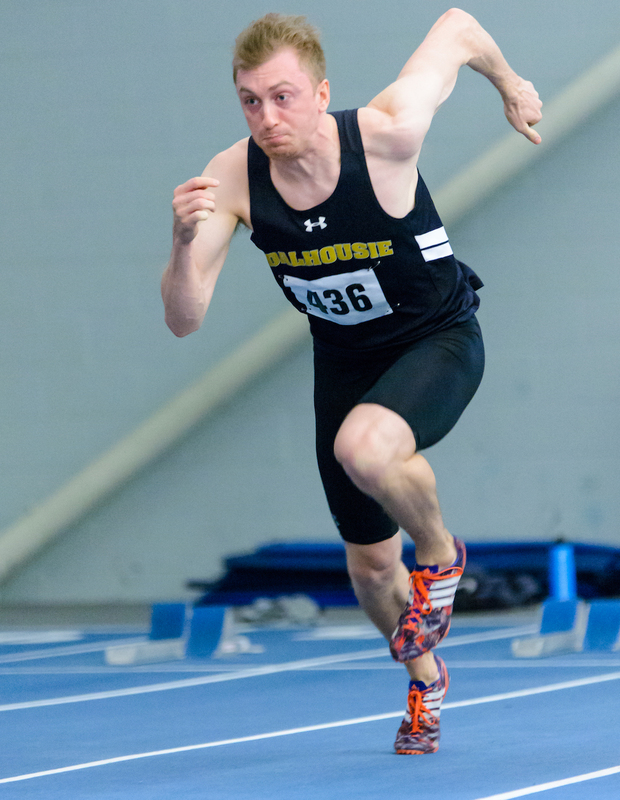 My greatest achievement was winning a gold medal in the 60m sprint at the 2018 U SPORTS Track and Field Championships, and then going on to be named the Dalhousie Male Athlete of the Year. Over the years as a varsity athlete, I have collected many great memories from hanging out with my teammates on various trips away, both training and competing. 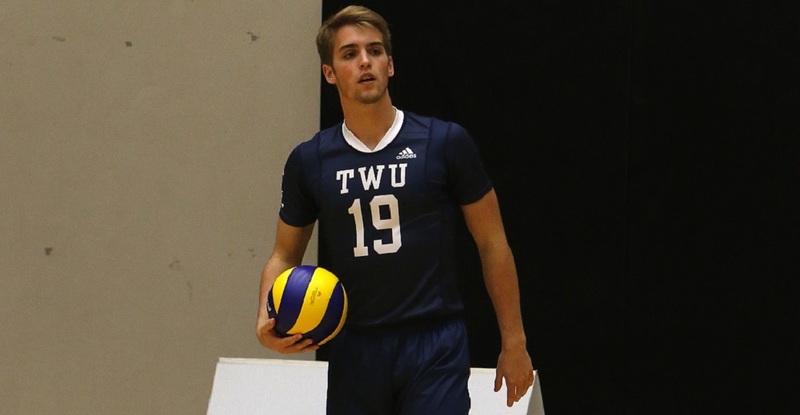 I hope to continue training as an athlete after I complete my university degree. After graduating from engineering, I plan on working towards becoming a professional structural engineer. My coaches and my family have always been my biggest supporters. My mother has always been there to support me in wins and in losses and she has never missed any of my races. I would choose to have dinner with Jesse Owens. He set three world records and was a four-time Olympic gold medallist in the Berlin 1936 Olympic Games. I am very inspired by him and he accomplished so much in a time where the odds were so against him. 6. What is your pre-race ritual? Do you have any superstitions/idiosyncrasies around preparing yourself for a race? I wouldn’t say I have any actual rituals, but I do like to visualize my ideal race in my head prior to getting in the blocks. 7. What’s your go-to song to get pumped up before a race? Anything from Kanye West pumps me up, particularly Power. GoPro is probably my favorite as they post really cool photos and point of view action videos. I always played multiple sports growing up but never as competitive as I do track. I’ve always had a strong passion for hockey, so if I could give a try at being competitive in another sport I would choose that. 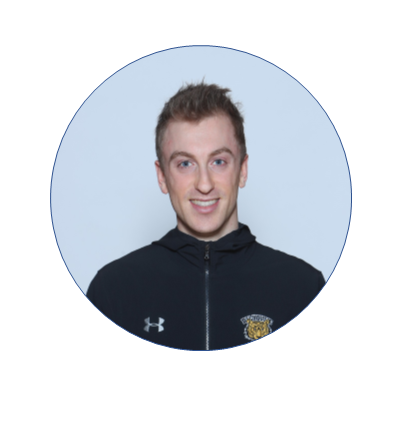 My biggest embarrassment in track and field took place during the 2017 Canada Games. I was the captain of Team Nova Scotia and expected to run in the 110m hurdles, 100m, and the 4x100m relay. On the first hurdle of my first race, I instantly pulled my hamstring and was out for the rest of the competition.